Landscaping can actually end up saving you a pretty penny if done right. With summer in full swing it is important to evaluate your lawn and think about the things you want for your yard this season. 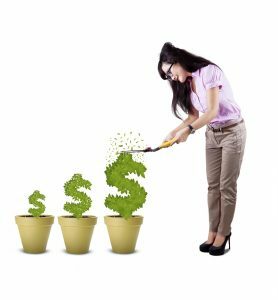 You want to make sure you have a good return for your investment, so of course you don’t want to spend superfluous money. Today we are going to talk about some of the positive ways smart landscaping can save you some money and definitely not be a waste of time and effort. The process of composting is using decaying organic matter like vegetables into plant fertilizer. Composting is a seriously eco-friendly decision for your yard and also the earth because it cuts down on waste all around but it also works wonders in your garden. Through composting you won’t need to spend extra money on fertilizer and if you live in an area where your garbage company charges you per bag, you can save that way as well. Maybe trees aren’t exactly an air conditioner in the traditional sense, but placing trees around your yard in strategic spots where the sun hits commonly can reduce the amount of light that hits your home. During the summer this can be a welcome relief and has the added benefit of cooling down your home and cutting down on cooling costs. For the avid gardener, it may be tempting to try to buy and cultivate exotic plants and turf to make your garden or landscape seem unique. While this can be an interesting and challenging task it is better to be realistic about your climate and buy plants that are made to thrive in your area. When you choose smart in landscaping, you save yourself from making costly mistakes. Soil that is mulched properly requires less watering and many cities give away mulched remains of fallen trees for free. Avoid buying bags when you can make mulch yourself from running a lawn mower over a pile of leaves or utilizing your city’s resources. Harford Is Here to Help! Ready to have the beautiful yard you have always dreamed of? Hartford Tree Experts & Landscaping, Inc has been in the business for decades, providing customers with quality work and quick responses at the right price. 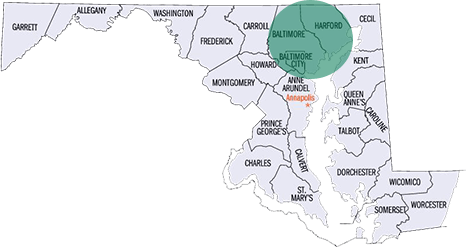 We service the areas of Hartford County, Baltimore County, and Baltimore City areas including Bel Air, Fallston, Perry Hall, Towson, Essex, Parkville, White Marsh, and Middle River. For service during our business hours, reach out to us online or give us a call at 410-592-7321. We also offer 24/7 emergency service, just give us a call at 443-250-6649. For updates about our business and more informative tips, follow us on Facebook, Twitter and Google+. This entry was posted on Friday, July 7th, 2017 at 12:45 pm. Both comments and pings are currently closed.